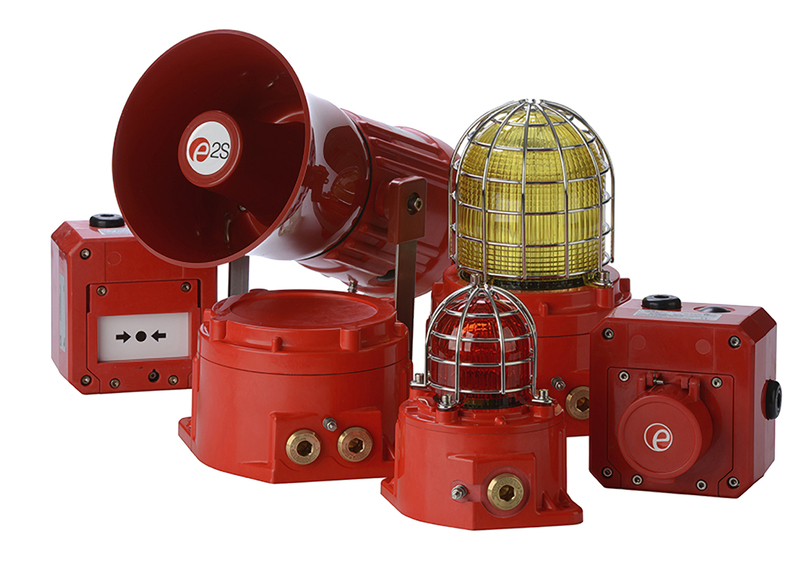 E2S Warning Signals, the leading independent warning signals manufacturer, has announced the addition of visual signals to the explosion proof and corrosion resistant GNEx family, www.e2s.com/products/range/gnex. Suitable for all Zone 1, 2, 21 & 22 hazardous location signalling applications the GNEx beacons have extended temperature range with IECEx and ATEX Ex d approvals. For high ambient light or long distance signaling the GNExB2 beacon is available in 10, 15 and 21 Joule variants producing up to 902cd - a very high output Xenon strobe. The smaller sized GNExB1 is available for where a 5 Joule (up to 117cd) unit meets requirements. Three flash patterns and second stage, set by users, are a standard feature with all GNEx beacons, depending on base model and power (DC or AC) supply. On-site removal and replacement of the lens filter, such as for colour changes, is simple. Polycarbonate, UV stable lenses are available in Amber, Blue, Clear, Green, Magenta, Red and Yellow as separate spare parts. Installation time is minimized by design with the GRP enclosure having a threaded flame path, multiple cable entries and a large termination area. Complementing the GNEx range is the GNExJ2 Ex d junction box, which, having multiple cable entries and terminal configurations is suitable for a large variety of applications. Both 15 and 21 Joule versions can be supplied as a plate mounted assembly configured with up to four Xenon strobe beacons with a junction box or five beacons without a junction box. The new Xenon strobe beacon visual signals broaden the GNEx family which includes alarm horn sounders, PA loudspeakers and manual call points for activation of fire alarms, gas detection and emergency shutdown systems.